Ideal for Drive-Thru. the zoned c-2 property, 2 property ID's 1304477003 front lot 249,900 & rear lot sidwell #006 is 69,900.00 Dixie Highway frontage next to Art Van just across from the Waterford Plaza with K-Mart the Post Office, Dunham's and more. The front portion has a 4 bedroom leased house that is fully rented. 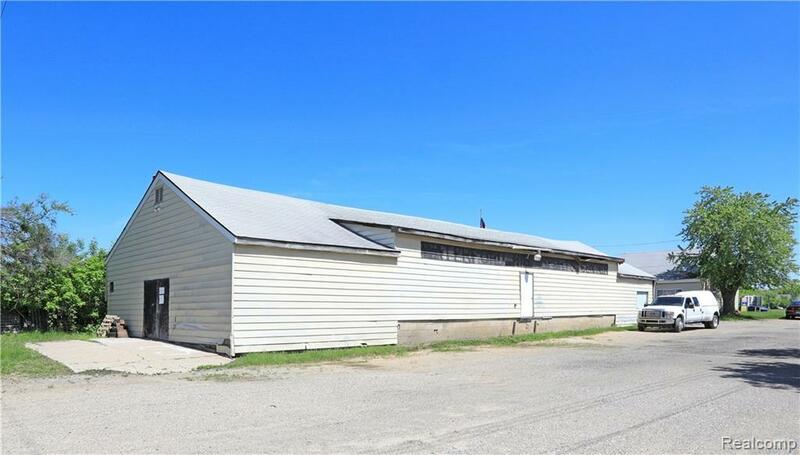 Behind that is a 3,500 square foot building that is being used as an Auction House with it's own off and 2 bathrooms, behind that is a fully fenced back area of over 250 additional feet that extends all the way to Hatfield Drive with a fenced gate.